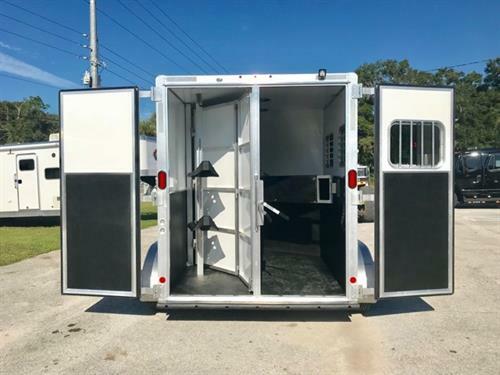 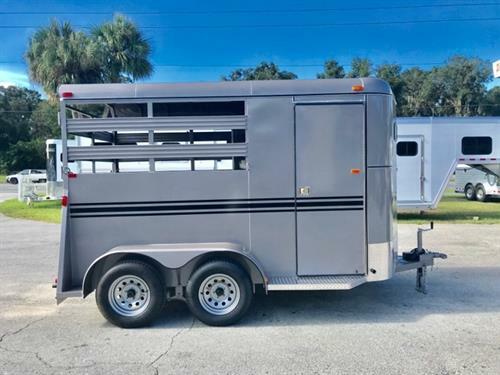 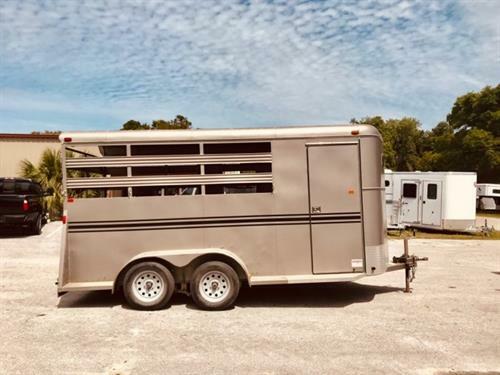 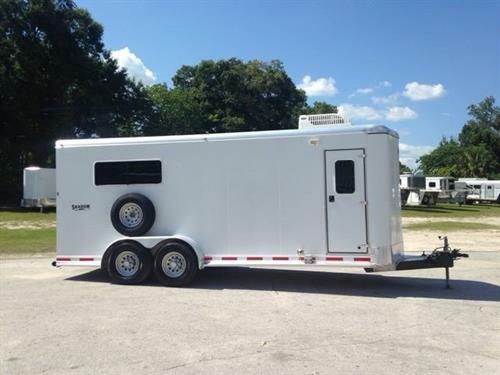 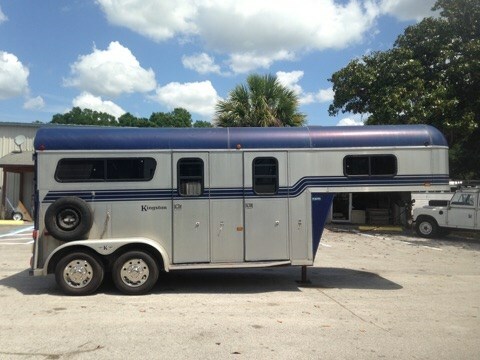 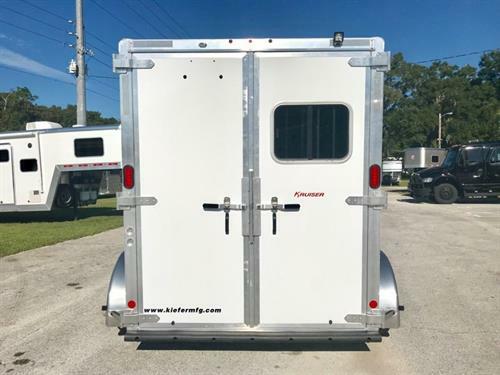 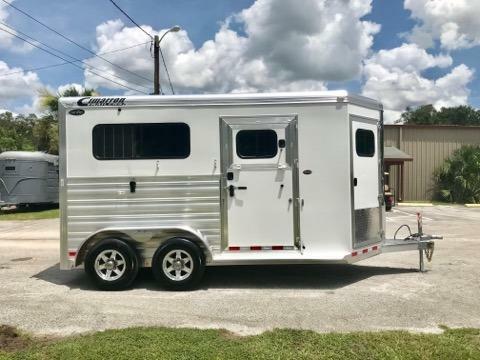 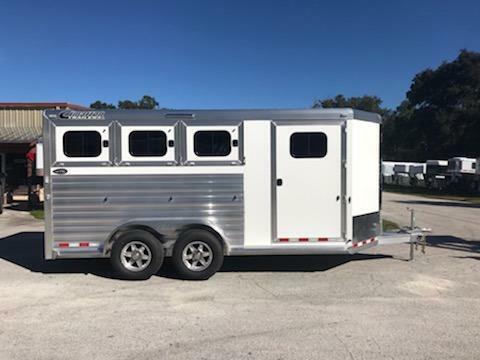 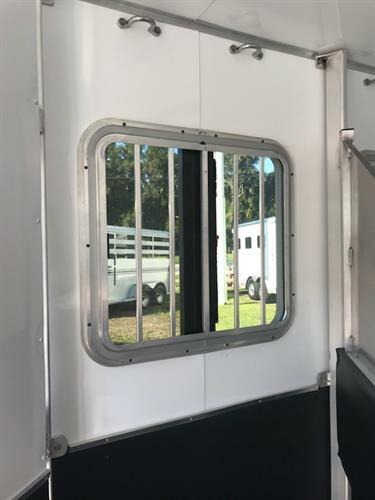 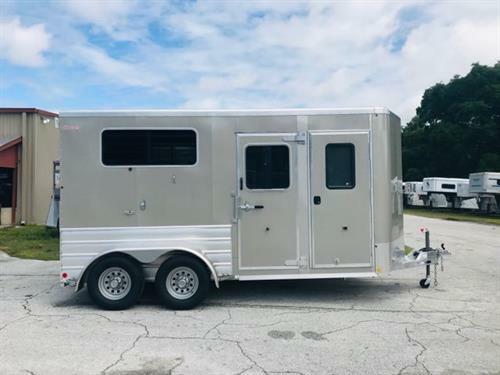 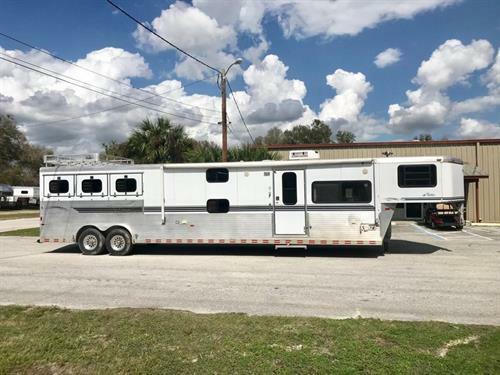 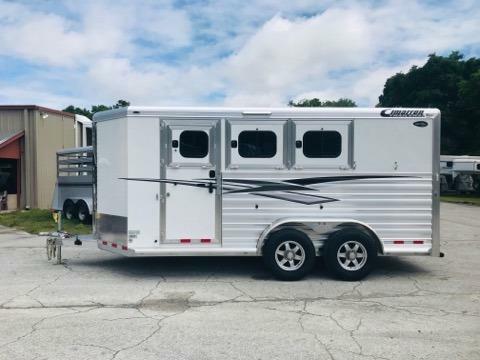 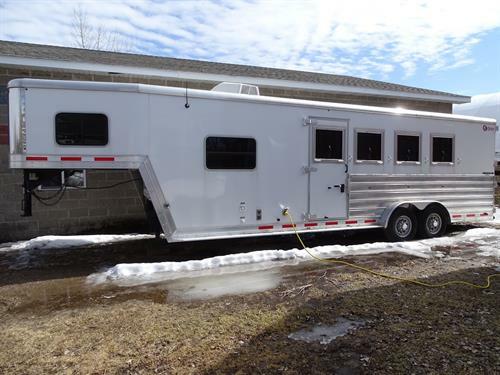 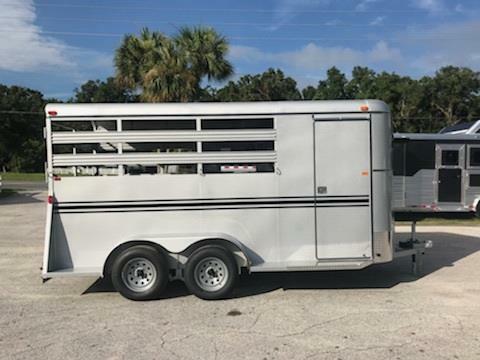 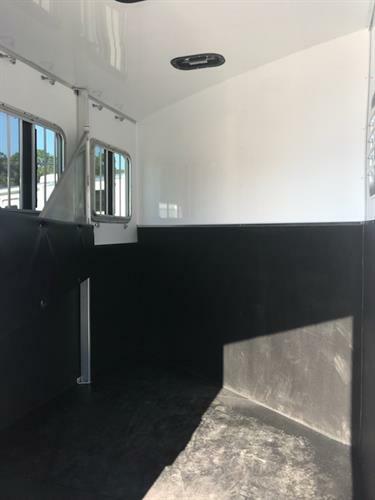 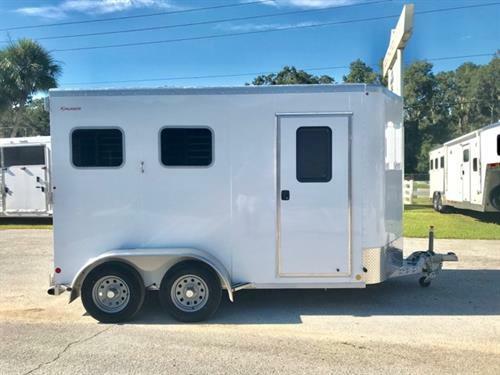 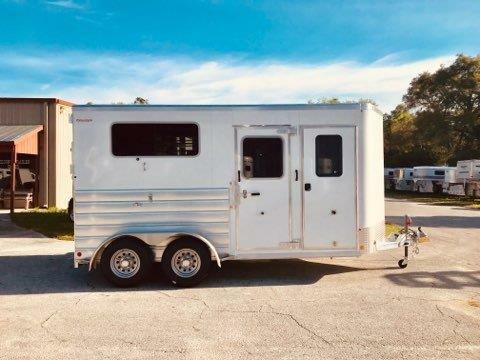 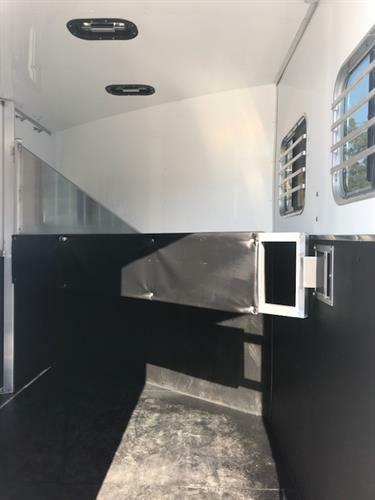 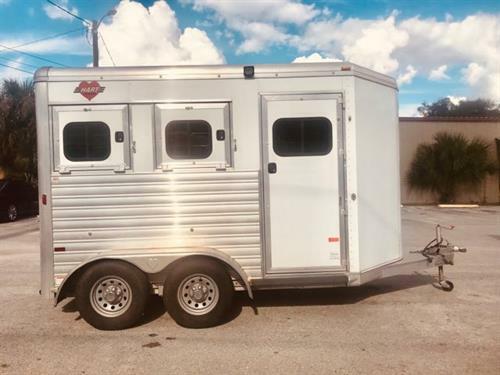 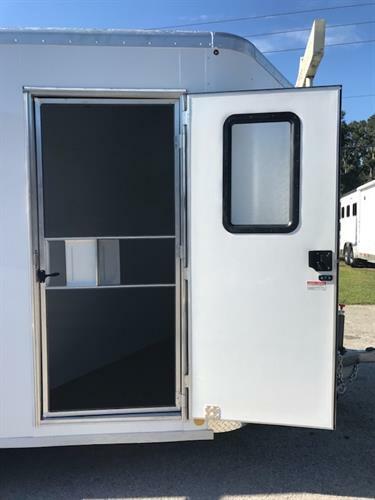 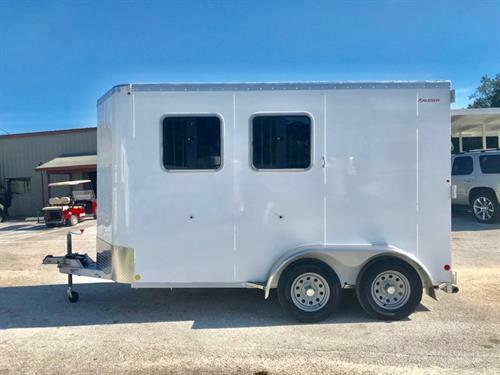 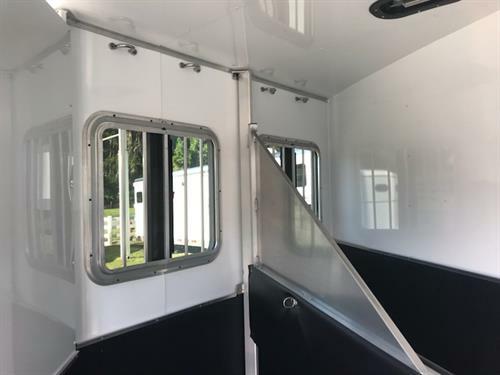 2019 Kiefer (2) horse slant load bumper pull trailer with a tack room that has a fully insulated roof and walls, saddle racks, bridle hooks and a camper door! 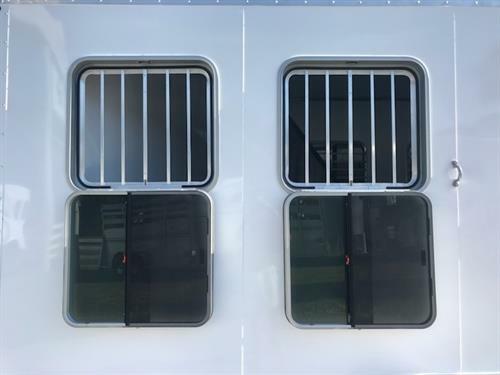 The horse area has an interior height of 7’6” tall x 7’2” wide x 14’ Long, drop down windows at the horses heads with drop down aluminum bars, sliding bus windows at the horses hips, insulated roof, roof vents, rubber lined & insulated walls, rubber mats over all aluminum floor, rear collapsible tack room with a removable (3) tier saddle rack, bridle hooks and double back rear doors! 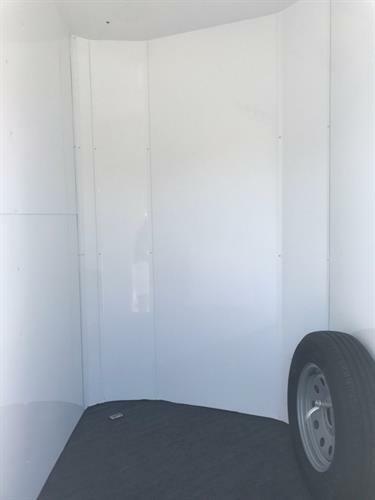 8 year warranty!